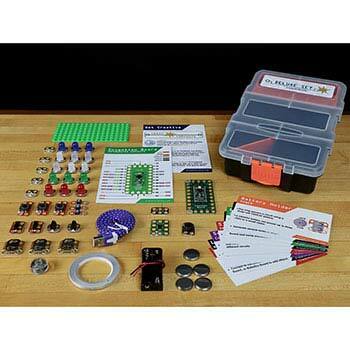 Turing Tumble, New Products: Educational Innovations, Inc.
With Turing Tumble, students can build mechanical computers powered by marbles to solve logic problems. With Turing Tumble, students can build mechanical computers powered by marbles to solve logic problems. It's a mesmerizing opportunity to "peek under the hood" and discover how computers work. 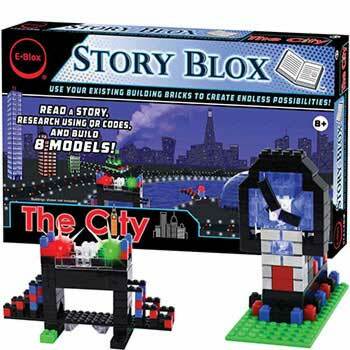 It is hands-on, fun, easy to learn, and suitable for anyone age 8 and above. Best of all, the logic is all right there in plain sight - no coding syntax, smart phones or tablets required! Perfect for learning engineering and computer science concepts. Turing Tumble comes with a board, marbles, 61 repositionable gears and switches, and a full-color 100+ page comic book that weaves 60 clever puzzles into an illustrated story about a space engineer stranded on a desolate planet. 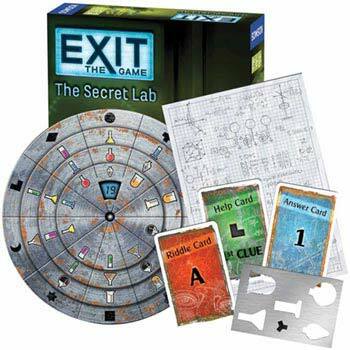 We find that kids ages 8-12 are able to get through the first 20-30 puzzles. Adults get addicted by puzzle 27, and their minds are blown by puzzle 35. Younger kids enjoy the first 10 and building their own computers. "Turing Tumble has actually made me a better programmer...it is challenging, rewarding...and just really, really fun. I cannot recommend it highly enough. 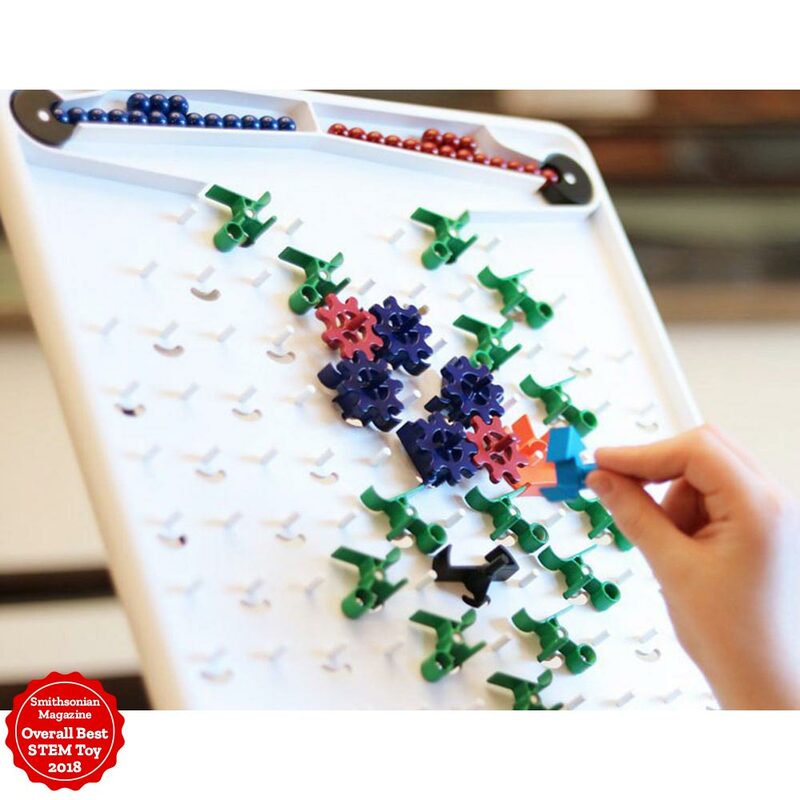 It is the most ingenious, creative, clever puzzle I've ever seen." - Stephen Hall, game reviewer. Directs balls in one direction, either to the left or to the right. Lets ball paths cross over one another. Balls come in one side and exit on the opposite side. The bit adds logic. It stores information by pointing to the right or to the left, like a 1 or 0. When the computer's objective is complete, the interceptor is used to stop the computer from releasing any more balls. The gear bits are mind-bending, but they add a whole new level of functionality. They also make the computer Turing-complete, which means that if the board were big enough, it could do anything a regular computer can do (in theory!). This is one of those toys that will never get old. Great to pull out on a snowy or rainy day and is certain to lead to hours of exploration and creativity. 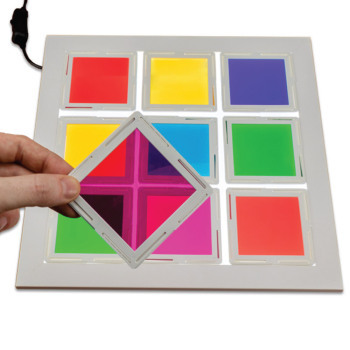 Students can use the Turning Tumble to simulate computer coding to solve problems. Moveable gears, switches and balls affixed to the board allow students to engineer and use reason for a desired outcome. The process engages learners to develop and test clever solutions to the prescribed problems in the set. Turning Tumbles provides concrete experiences of how a computer behaves.